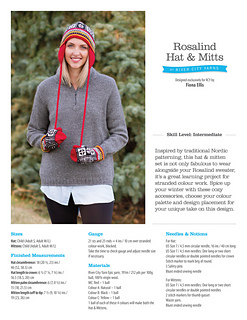 Inspired by traditional Nordic patterning, this hat & mitten set is not only fabulous to wear alongside your Rosalind sweater, it’s a great learning project for stranded colour work. 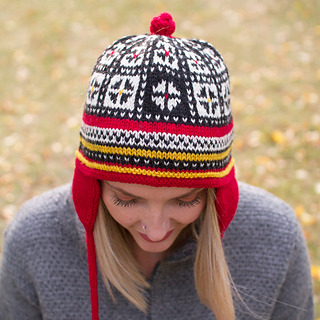 Spice up your winter with these cozy accessories, choose your colour palette and design placement for your unique take on this design. We used River City Yarn Epic yarn; 191m / 212 yds per 100g ball, 100% virgin wool. 1 ball of each of these 4 colours will make both the Hat & Mittens.